2.Performance improved,much faster then the older version. 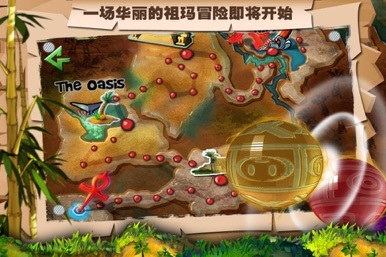 The game swept list on its 1st launch date. Tens of thousands downloads keep it always on TOP10! When the Egyptian queen Nefertiti's sacred magic weapon was stolen, she was bound in prison, unable to see a bright future! Her keeper needs to find the lost treasures, so that her will be eternal. 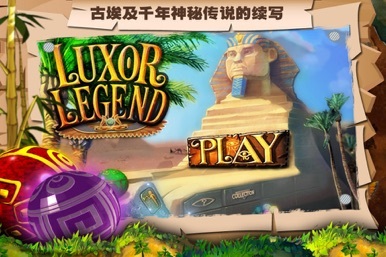 To become a hero that saves the spirit of the queen, one must embark on a great tour of Egypt all alone. 1. 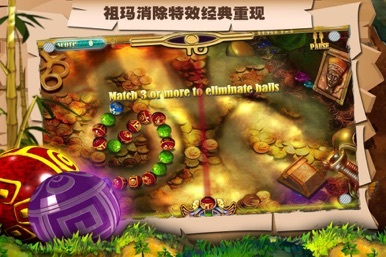 Change stone ball, match 3 balls to eliminate, try to eliminate a bunch of stone ball that continues moving forward to get a higher score. 2. 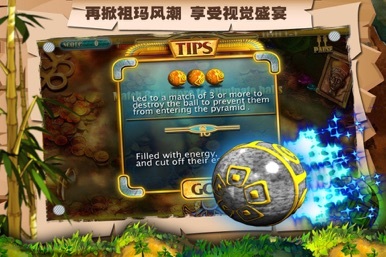 Match specific stone ball to collect treasure to obtain a special energy to increase the playability of the game. 1. 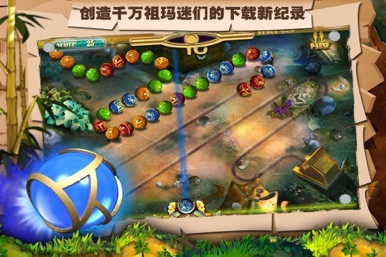 Beautiful and gorgeous scenes, complex and changing items, dazzling, addictive. 3. A combination of classic Zuma gameplay and brand new style.